The European Commission today (11 June) laid out its plans for EU-wide measures for group lawsuits amid business fears that they could spark a US-style litigation culture. Recent scandals affecting the rights of multiple people have led to calls for EU-wide collective redress as victims found themselves unable to afford litigation costs and seek compensation. Examples include the sale of faulty breast implants by French company PIP, Telefónica Portugal’s systematic telephone overcharging, and improper financial advice, such as of Payment Protection Insurance in the UK. Collective redress allows individuals to sign up to a single court action represented by a legal body. It exists in some form in 16 EU countries, but no single approach exists for cross-border disputes. “Member States have very different legal traditions in collective redress and the Commission wants to respect these. 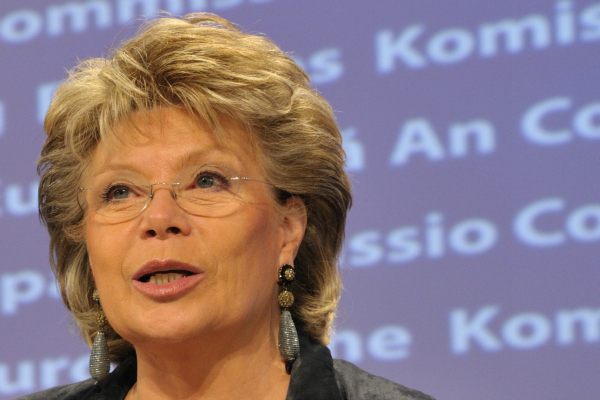 Our initiative aims to bring more coherence when EU law is at stake”, said Viviane Reding, the EU’s justice commissioner. Monique Goyens, the director general of the European consumer organisation (BEUC), which has pushed for EU-wide collective redress, sought to dismiss business claims that such an instrument would lead to a US-style lawsuit culture in Europe. In the recommendations to governments, the Commission sets out principles to limit cases of abuse, including favouring opt-in systems and a series of safeguards. Opt-in systems require citizens to actively seek involvement in an ongoing case rather than requiring them to opt-out one-by-one. In January, the US Chamber of Commerce warned Reding that US-style collective redress systems were inefficient and prone to abuse from claimants seeking monetary settlements. "Collective redress raises many issues on which the Commission, the European Parliament and stakeholders have put considerable effort over the past several years," said Lisa Rickard, the president of the chamber’s institute for legal reform. "That effort is in danger of being rendered irrelevant if flawed measures are adopted without proper consideration." Goyens expressed dissatisfaction that the Commission limited itself to a recommendation on collective redress, rather than a binding regulation. “It is a pity the European Commission has dragged its feet on this burning issue. The absence of a uniform collective redress mechanism has been a glaring omission of the Single Market for decades,” she said. “79% of European consumers have called for it, lamenting the fact their rights remain on paper. This is a basic question of access to justice." Along with the collective redress recommendations, the EU executive released legislative proposals allowing citizens to claim damages from breaches of EU antitrust rules, such as cartels or an overly dominant market position. "Infringements of the antitrust rules cause serious harm to European consumers and businesses," said Joaquín Almunia, the EU’s competition commissioner. "We must ensure that all victims of these infringements can obtain redress for the harm they suffered, especially once a competition authority has found and sanctioned such a breach." Collective redress is a legal mechanism which allows for reasons of procedural or enforcement efficiency many single claims, which relate to the same case, to be bundled into a single court action, the European Commission says. It includes lawsuits seeking to stop illegal behaviour and lawsuits seeking compensation for harm caused. By mid 2015: Commission expects EU countries to have put in place the recommendations. 2017-2018: Commission to assess state of play and impacts of recommendations, including whether further measures are needed, for example to prevent abusive lawsuits. EU leaders are wise to guard against the rise of a parasitic plaintiffs’ bar like the one that has plagued the U.S. for decades. And if BEUC is anything like the groups with the audacity to call themselves “consumer” organizations here in the U.S., Monique Goyens’ salary likely derives in whole or in large part from the generous support of plaintiffs’ lawyers.